Rolling out to iOS and Android users is a rather significant update to the Google Maps app that includes a lane guidance feature, improved offline support, filters for search results, Uber integration, improved public transit information including “last train home”, improved saved locations across devices, and improved Street View. With lane guidance, Google Maps can now tell you which lane to be in to properly make your upcoming turn or exit. It also now has easier access to alternate routes while navigating so that you don’t have to back out of navigation completely and select a different route. While the ability to save maps offline was available before, many users felt it was a bit hidden and inconsistent. This update addresses this by allowing you to select a location and select “Save map to use offline”, and you can even name your saved maps. Users will now be able to look up Uber directions from within Google Maps and compare it against other modes of transportation. Selecting an Uber route will direct you into the Uber app if you have it installed. Search filters have also now been introduced so that users can sort through restaurants, bars, and hotels by price, rating, and whether they’re open currently. 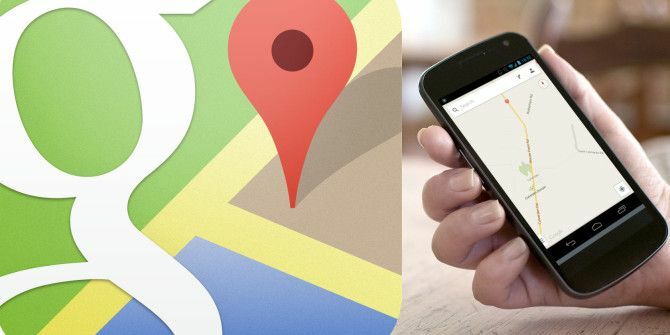 You can grab the new update on the Google Play Store or Apple App Store, and don’t forget to check out our top 10 Google Maps tips Get There Faster - 10 Google Maps & Navigation Tips Get There Faster - 10 Google Maps & Navigation Tips Google Maps is still the most powerful mapping service ever, despite what Apple might say. Whether you’re using Google Maps in a browser on your desktop or an app on your mobile phone, Google Maps... Read More to make the most out of your newly updated app. What do you think of the new update? Let us know in the comments. Guess that's why I don't use many apps. I also don't do Twitter, Facebook, etc. for the same reason. Paranoid I guess. Too much info out there for me. Why does Google Map need access to my contacts?